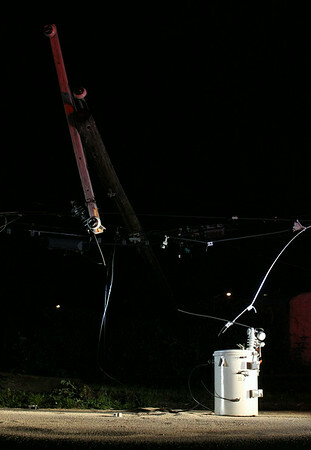 A lone transformer sits in a spotlight on Appleton Street in Salem with a downed telephone pole sitting next to it after both were taken down by a truck which crashed through the fence of Greenlawn Cemetery early Thursday morning. DAVID LE/Staff photo. 8/7/14.